We were in a nice small house with all facilities needed. The kichen was nice and clean. It was clean, quiet and near the beach. Good view of the lake and not too far from the facilities. Beautiful place, accommodation clean and comfortable. We appreciated to be just in front of the lake for the children and landscape. Also the children were very happy with the mini kart and ping pong and pool and the mini golf. Lovely area, great road links from CALAIS, kids loved Aquaclub. We had lovely quiet house lakeside , overlooking golf course but well away from amenities which had good and bad points with 3 small children. Lovely pizzas in restaurant but limited choice and bit pricey. The Italian Buffet serve on Sunday was good. The Aqua-park was great fun with a wave machine and slides. Plenty of towels in the house. 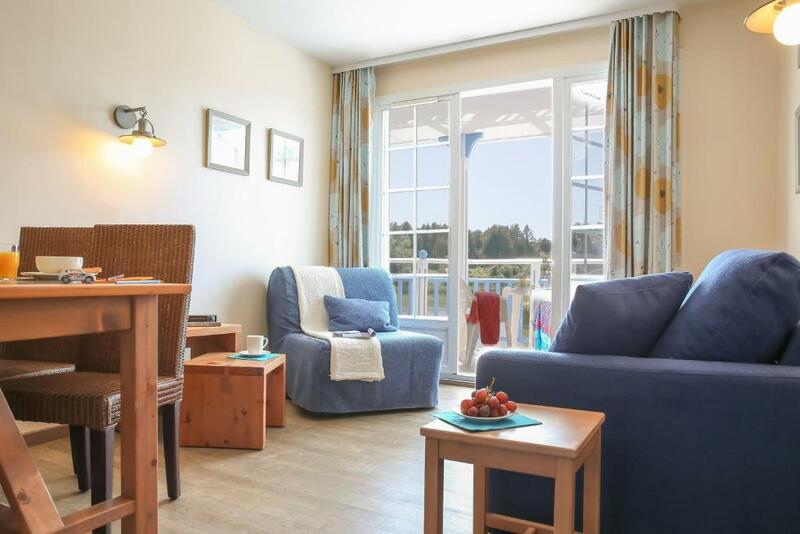 One of our top picks in Fort-Mahon-Plage.This 250-hectaure, entirely pedestrian, eco-resort offers fully-equipped houses and 2-bedroom apartments with flat-screen TVs and coffee machines. The village includes lakes, a golf course and a huge water-sports complex. Saint-Valéry-sur-Somme is 20 mi away from the property. The water-sports complex at Village Pierre & Vacances - Belle Dune consist of heated, covered and outdoor swimming pools, a giant water slide, wave machines, whirlpools and geysers. Guests have free access to the pools, playgrounds and sport complex except tennis and archery. There is also a children’s club with environmental awareness-raising for children and young people in partnership with the WWF. A kids club and a club for teenagers is available during school holidays for an extra fee. The property offers a basic WiFi connection for free and higher speed internet is available at an extra charge. Guests will be invited to attend an information forum every Sunday in order to find out about the week's activity program. Regional theme evenings also take place and are an opportunity to discover traditional folklore, crafts and spectacles. 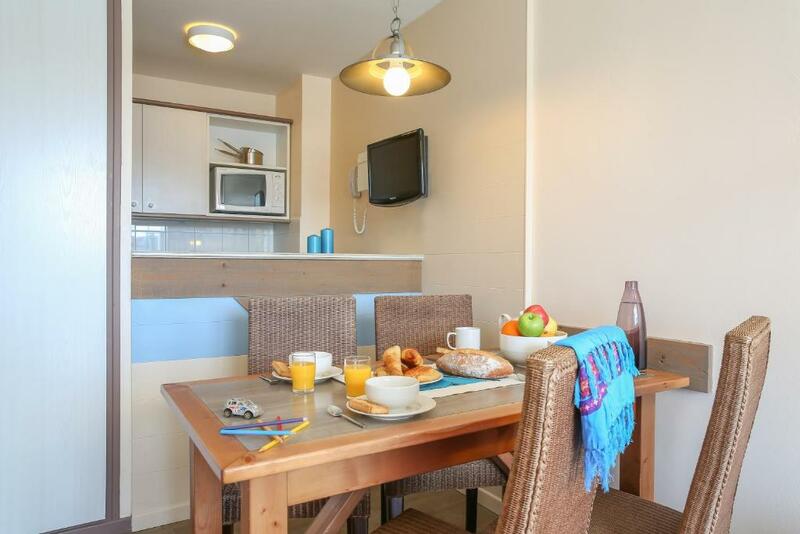 Offering free outdoor parking spaces, Village Pierre & Vacances - Belle Dune is located in a natural area of sand dunes and forests, 19 mi from Le Touquet, 6.2 mi from the Somme Bay and just 1.2 mi from the beach. When would you like to stay at Village Pierre & Vacances - Belle Dune? This house features a view of the garden or the golf course. There is a living area with 1 double sofa bed or 2 single sofa beds. There is 1 bedroom with bunk beds, 1 double bedroom and 1 twin bedroom. The 2 private bathrooms have a bathtub and a shower and the fully equipped kitchenette opens onto the living area. This studio features a balcony. There a living area with 1 double sofa bed or 2 single sofa beds. There is a sleeping alcove with bunk beds. The private bathroom has a bathtub or a shower and the fully equipped kitchenette opens onto the living area. This house features a balcony. There is a living area with 1 double sofa bed. There is a bedroom with 2 single beds and 1 fold-out single bed. The private bathroom has a bathtub and the fully equipped kitchenette opens onto the living room. These houses are located in the Maison de la Plage area and do not have a sea view. They are 1969 feet from Quend beach and 1.2 mi from the Belle Dune center and Aquaclub. This house features a balcony. There is a living area with 1 double sofa bed or 2 single sofa beds. 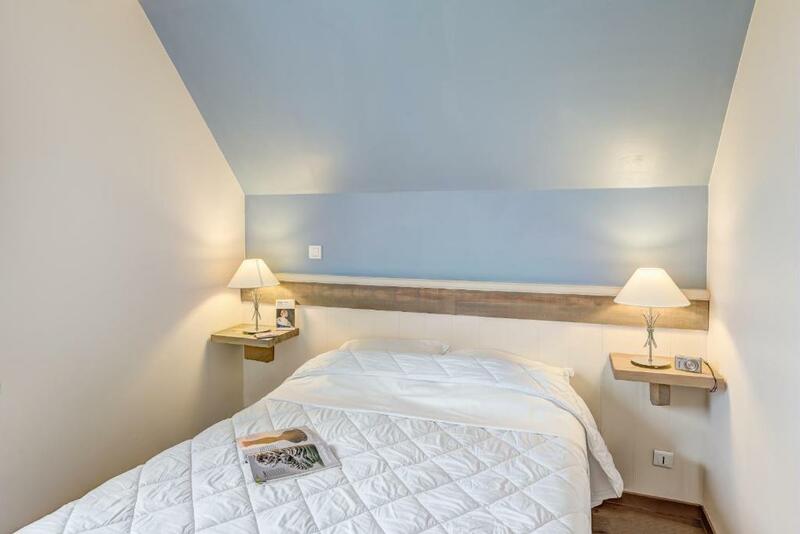 There is a double bedroom and either a twin bedroom or a sleeping alcove with bunk beds. The private bathroom has a bathtub and a shower and the fully equipped kitchenette opens onto the living area. This superior house features a balcony with a lake view. The living area has 1 double sofa bed or 2 single sofa beds. 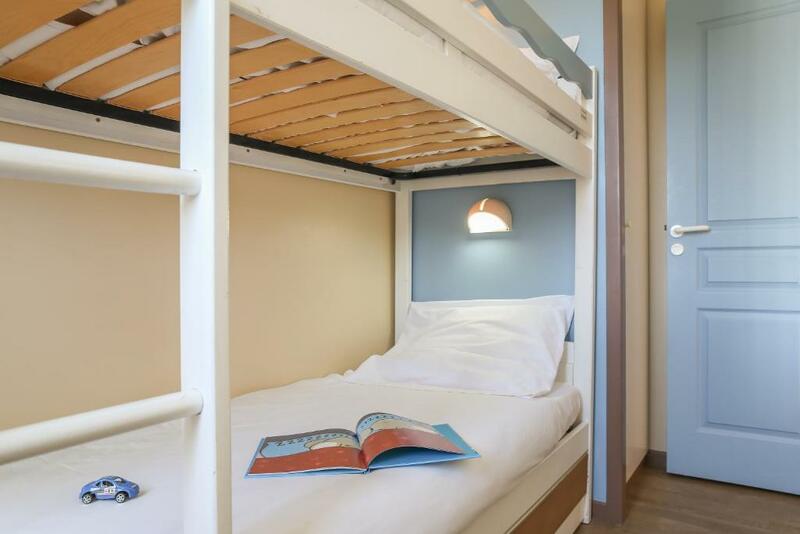 There is a sleeping alcove with bunk beds, 1 double bedroom and 1 twin bedroom. There are 2 private bathrooms, one with bathtub and a toilet, the other with a shower and a toilet. The fully equipped kitchenette opens onto the living area. Extras include full WiFi access and beds made prior to arrival. This apartment features a balcony. The living area has 1 double sofa bed or 2 single sofa beds. There is a twin bedroom. The private bathroom has a bathtub or a shower. The fully equipped kitchenette opens onto the living area. 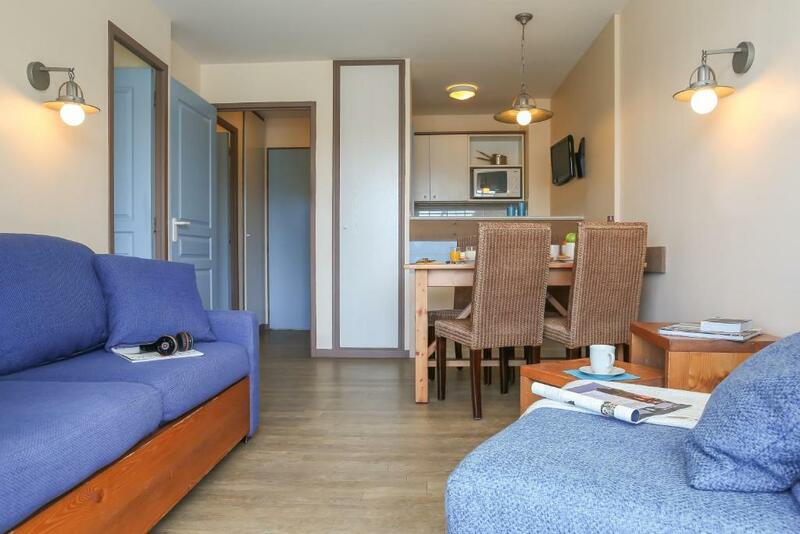 These apartments are located in the La Place area, the Les Argousiers Residence, the Les Fontaines Residence in the Eaux Vives area or the Le Bosquet Residence in the Hameau area. This superior house features a balcony with a lake view. The living area has 1 double sofa bed or 2 single sofa beds. There is a double bedroom and a twin bedroom. The private bathroom has a bathtub and the fully equipped kitchenette opens onto the living area. This apartment features a balcony. The living area has 1 double sofa bed or 2 single sofa beds. There is 1 double bedroom and either a bedroom with twin beds or a sleeping alcove with bunk beds. The private bathroom has a bathtub and a shower and the fully equipped kitchenette opens onto the living area. This house features a living area with 1 double sofa bed or 2 single sofa beds. There is 1 double bedroom and 1 twin bedroom. The private bathroom has shower and the fully equipped kitchenette opens onto the living area. These houses are located 1969 feet from the beach and 1.2 mi from the center of the property. Each of these adjacent houses has a living area with 2 single sofa beds. There is 1 double bedroom and 1 twin bedroom in each house. Each of the houses has a bathroom with a bathtub and a fully equipped kitchenette. House Rules Village Pierre & Vacances - Belle Dune takes special requests – add in the next step! Village Pierre &amp; Vacances - Belle Dune accepts these cards and reserves the right to temporarily hold an amount prior to arrival. Village Pierre & Vacances - Belle Dune accepts these cards and reserves the right to temporarily hold an amount prior to arrival. Sunday to Thursday: 08:00 to 20:00. Friday and Saturday: 08:00 to 22:00. If you plan to arrive outside reception hours, please contact the residence in advance. With an extra cost, you may request to reserve the exact location of your accommodations by calling the residence. Contact details can be found on the booking confirmation. Please note that the Aquaclub will be closed on 25 December, 1 January and every Thursday, except during school holidays. Swimming shorts are not permitted. Men must wear swimming trunks. A baby kit, suitable for children under 2 years weighing less than 15 kg, is available with an extra charge and is subject to availability. The kit includes: 1 cot without a mattress, 1 high chair, 1 changing mat and 1 pushchair. Guests are required to reserve this kit in advance. Price includes: accommodations, bed linen, towels, household linen (bathmat and dish towel), a cleaning kit, a basic WiFi connection, taxes (except city tax and application fee), access to the pool area and sports fields (except tennis courts and archery), basic activities including fitness, contests and parties. End-of-stay cleaning (except for washing up and kitchen area) is included. Available at an extra cost: beds made upon arrival, housekeeping mid-week, or cleaning kit. (The number of services purchased must match the number of occupants in the accommodations). - daytime and evening entertainment programs. Please note that the outdoor swimming pool is open from 16 June to 31 August. The location was quite vulnerable. The grounds weren’t secure in terms of entering the entire site; it had separate entrances for each set of houses which meant anyone could drive and walk up to the houses. During the night of Xmas eve I heard loud noises downstairs approx 2:30am which woke me up. I turned the landed light on and the noises stopped. After reviewing the house the morning the door had damage and I suspect someone attempted to break in to property. The home adjacent had the same damage to the door. As soon as we opened the door to the apartment, we were met with a drainage-like smell which did not go away throughout our stay. The apartment was well maintained and had all the facilities we could have needed to ensure our stay was comfortable and pleasant, plus there was enough room for us all. The showers were amazing, lovely and hot and the heating really made a difference to the cold nights. There was so much to do around the complex but due to the length of time we stayed we were unable to enjoy it so we definitely have to come back for longer. The complex was very beautiful and we were literally in awe of all the surroundings. The weather was nice and the sun just made everything look even nicer. I think the place was amazing and the kids would have really enjoyed the indoor swimming pool and go-karts if we had the chance to use them. Will definitely recommend this accommodation and plan to return in the near future. Also, the security guards who we met at Reception were lovely. Although there was a language barrier, they really tried to accommodate us, they even drove us to our apartment as we were unsure of the directions, which was very nice of them. The water of the pool was a bit cold and the waves a bit dansgerous. The kitchen in the rented house was too tiny for a family. Property bit tired. Minimalistic particularly in tiny kitchen area. Hob and basic microwave. Not set for cooking for 8. French channels only on tv. Non existent WiFi. Sofa bed in lounge area for 2 guests means everyone has to go to bed to allow them to go to sleep. We booked an 8 person and 6 person Superior properties adjacent to each other at the Grand Lac district. The staff (Alexandra) who assisted me during the booking process with able assistance from Booking.com were keen enough to take my money. The properties and the attitude of the manager (a middle aged lady with curly hair are nothing short of totally disgraceful. Our properties and others close to us are in need of a very serious renovation and upgrade. The paint is peeling off everywhere, there is rot under the bath in the upstairs bathroom and the state of cleanliness is a disgrace. I had my elderly disabled mother with me and she fell ill on the morning of check out on the 25th of August. Check out was at 10am and at 9.23am I rushed to the office to seek an extra hour because of my mother's condition. She was struggling to get ready in time. I asked Alexandra and she asked her manager that I had requested an extra hour. Without looking me in the eye, bereft of any deferential apology in spite of the fact that I had spent Euros 2,600 for seven nights, the female manager just waved me off with a disdainful wave of the hand! No apology, just a shabby offensive gesture telling me where to go! Based on my experience, I shall never return back to this property (I have four grandchildren aged 8 to 2 years of age). I would advise every potential client to think very carefully before booking at this property. Four years ago I stayed at P&V Normandy Garden with one of my grandchildren and it was excellent. P&V has a lot to answer to. The best feature about this P&V property is the undoubted beauty of the natural beauty of the Belle Dunes area. The beaches are excellent and the dunes that have been shaped by the prevailing winds off the Atlantic Ocean are terrific! Chalets could be a bit bigger/more spacious!